China Adds Coal Capacity Despite Pledge to Cut - Integration Through Media ....! The expansion came despite Premier Li Keqiang’s pledge to “get rid of” 150 million tons of capacity in 2018, announced in his work report to national legislators in March of last year. Li said nothing about adding new capacity to offset the cuts. The additions may mark the end of China’s campaign for consolidation and capacity cutting in the coal industry, which was driven by overproduction and collapsing prices in 2012. The increases may have consequences for greenhouse gas emissions and climate change if higher capacity leads to greater growth in production and consumption. China’s output of coal rose 5.2 percent last year. China is by far the world’s leading producer and consumer of coal, accounting for about half of global volumes. Because of China’s huge share, small changes in growth can have major consequences for carbon emissions. According to Enerdata’s Global Energy Statistical Yearbook, last year’s capacity increase in China exceeded the coal production of eighth-ranked Germany in 2017. “We continued working to cut coal consumption and to replace coal with alternative energy in key areas,” the NDRC said. “We made progress in using market mechanisms to cut capacity in the steel and coal industries,” Li said in his annual work report to the National People’s Congress this year. 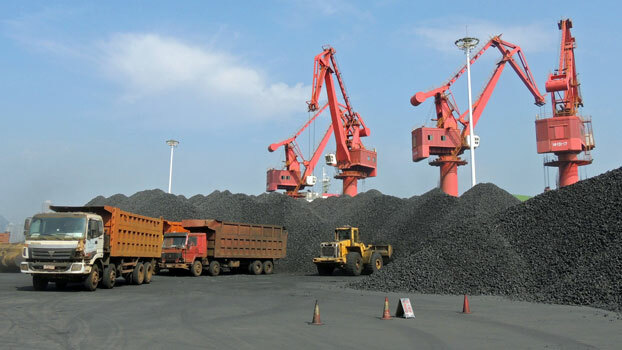 China’s coal imports also climbed 3.4 percent to 281.5 million tons in 2018, the highest level in four years, the General Administration of Customs reported in January. In March, the NBS reported that China’s coal consumption rose 1 percent from a year earlier in the biggest gain since 2013. The coal increases appeared to clash with the government’s broader environmental goals. “We launched an all-out fight to keep our skies blue, our waters clear, and our land pollution-free,” Li said in his report. China’s cabinet-level State Council first promised to bar approval for new mines with annual production of less than 300,000 tons in 2013. But China has “quietly resumed” construction of more than 50 gigawatts (GW) of new coal-fired capacity that had previously been postponed by the central government, the groups said, citing satellite photos. The resurgence of coal in China comes despite the NBS report in February that the high-polluting fuel’s share of primary energy sources fell to 59 percent last year from 60.4 percent in 2017. 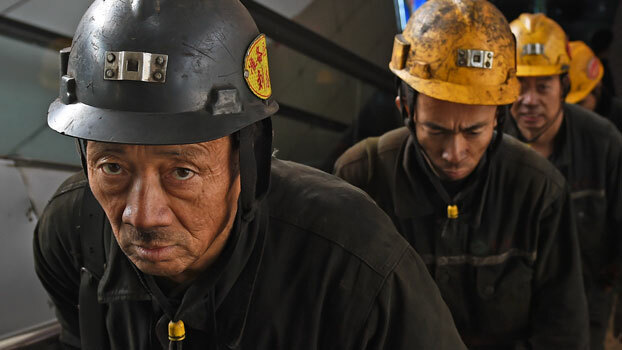 The economic worries raise the possibility that the current coal increases may be short-term responses to pump up growth that will soon pass when China’s troubles subside. “Given that coal-fired power plants and coal mines have lifetimes of decades, this can hardly be seen as a ‘temporary response,'” Andrews-Speed said. “The environmental will be substantial, but the key question is whether the equivalent capacity is being decommissioned,” he said.